Poking along with Wicked Witch, Retired. Lately, I’ve been splitting my time between writing WWR and doing a format and editing pass on Eric’s PHYSIC series. Surprisingly, I’ve found that I like working on two projects at once, though I don’t think I’d like *writing* on two separate projects. My intention was to finish the first draft WWR in October and then switch over to work on the Abbott stories for “NaNoWriMo.” But, my part in the reading/editing for PHYSIC is winding down, so maybe I’ll start some Abbott reading/editing in October instead of holding off. For the rest of this week though, along with WWR, I’m going to work on a new cover for Lucinda in the Window and take a look at the formatting with the intention of maybe releasing a new paperback version by mid-October. At very least, I’ll be doing a promo then. Read an E-Book Week is a site-wide promotion at Smashwords to help authors connect with readers. According to the press package, the catalog includes nearly 40,000 books available for free or discount. That’s a lot of reading materials and it includes books by Eric and me. The first two books of the Apothic Man series, Model Species and Divine Fire, are both available for FREE from Smashwords and Barnes & Noble every day! For Smashwords, just head to the site and download the format that works best for you! If you own a Nook, we’ve got you covered at B&N. Alcander, an old man with a decrepit body and shattered sense of self, has a murderous plan to seize power and replace the life he cannot remember. Investigating a body with bizarre wounds fished from the bay are a middling apothynom, Inspector Paulos Gaent, and a religious objector to apothynom rule, Clerk Teria Bellaphaerenous. At cross-purposes, a private detective, Laros Nero, is hired by an anonymous client to discover the identity of the murderer for reasons other than justice. However, it will take more than keen investigative abilities to stop Alcander. It will require the unearthing of dark apothic knowledge that has been buried for an age. In the Radiant Agnosian Empire, emetanisms and apothic methods from outside are restricted. The culcursus of an apothynom and the implants of the Oinos are illegal. Apothos is a sacred act that comes from Agnos, their god, the sun. In Florey, the banking capitol of the Radiant Agnosian Empire, there is unrest. Agnos is smiting the wicked with Divine Fire. 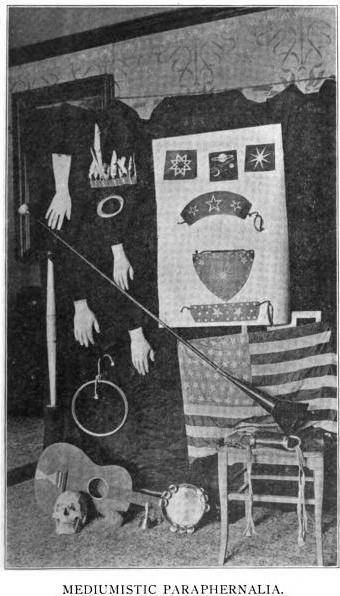 Neltiar Silva, an apothynom from the Polities, and Marie Lemieux, a woman possessing a verboten Oinos implant, want to know why and how. As they dig deeper, they find out the real reason men are dying. More about Weordan, the setting for the Apothic Man series. The first novel I ever wrote, Lucinda at the Window, is FREE! Just use coupon RW100 at checkout. Lucinda Harris is very put out. One of her oldest friends, Rebecca O’Malley, has married an impetuous Irishman. The fortnight-long party at the O’Malley’s newly-inherited rural Ohio Manor is filled with some of the most common people. The Manor itself is in poor condition and staffed by three mostly incompetent servants. Worst of all, Lucinda has been murdered. Lucinda is determined to solve the mystery of her own death, but unfortunately for the guests of the Manor, the only thing more haunted than the house is Lucinda Harris. So, what did the Writerly Writer do in 2013? I’m almost afraid to look. Obviously, the big deal in the last couple months has been Eric and my decision to self publish some of our previous works. The kernel idea for Model Species and Weordan, the setting of the Apothic Man series, began in 2004 after World Fantasy Con. I wrote Weordan stories that year for NaNoWriMo, but those bear little resemblance to what that world would become. Eric wanted to play with the idea of a “magic” system based on actual science. How could characters harness personal power, personal technology? What kind of biology would be needed? What kind of environment would evolve that kind of biology? Then we tell stories in this world. Model Species is a murder mystery with a dash of Frankenstein thrown in. There are other books set in Weordan, what we’ve decided to call the Apothic Man series. Divine Fire is story of political intrigue set in a theocracy far away from the events of Model Species. These two very different stories are the basis for the next iteration of Weordan novels that will weave the two narratives together. How far we get into Weordan will be partially decided by how well Model Species and Divine Fire do. 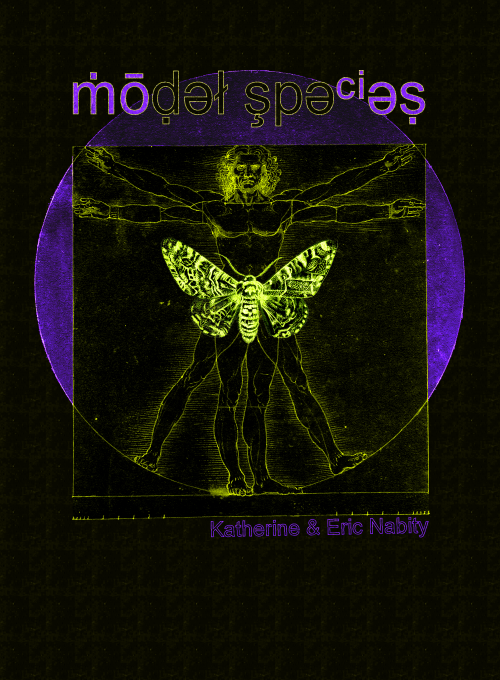 Model Species was released for free on Nov. 30th . According to Smashwords we’ve had 335 downloads and not a day has passed without a download. We plan on releasing a premium version with extra content in a few weeks (that will be priced reasonably), and Divine Fire is slated for February, probably. 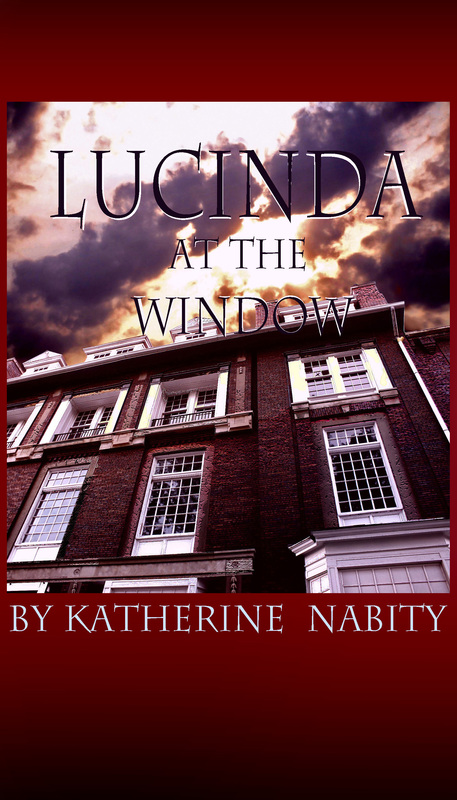 I also rereleased my first novel, Lucinda at the Window. It saw print publication a few years back by a small publisher. Lucinda is my love letter to gothic fiction and manor-bound ghost stories. It’s available for cheap and, if anyone is interested in reviewing (*wheeze, wheeze*), I’d be happy to provide a copy. I started sending out queries a year ago. I’ve sent out quite a few. Thus far, not a nibble. I’ll be honest, that’s disappointing. 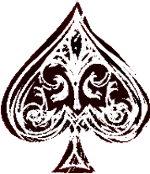 Luck for Hire is the closest thing to a mainstream novel that Eric and I have written. And no dice. I have a few potentials, but it’s getting thin. There are still many more days of failure ahead, whole seasons of failure, things will go terribly wrong, you will have huge disappointments, but you have to prepare for that, you have to expect it and be resolute and follow your own path. Doing research for the Abbott project has been a lot of fun, even if the writing of it hasn’t gelled yet. After writing 44K during NaNoWriMo 2012, I started a new draft in January and then another new draft in June-July-ish. I still haven’t quite found the story I want to tell, but my details are getting better with research. The biggest change has been adding Joseffy to the narrative. He’s a intriguing personage. I’d almost like to write a non-fiction book on him alone. The plan for 2014 is to keep doing research (I need to learn more about Omaha in the early 20th century) and to keep picking at the Abbott Project plot while working on more Apothic Man stuff. I have a week to get back into the swing of things before round 3 of RoW80, and I’m feeling better than I have in a while. I did some work on Divine Fire on Thursday and Friday. Not much, but it’s some momentum. I also retrieved the rights to Lucinda at the Window. Its publication happened at a very bad time for the publisher, and I always felt that I was at the end of a very long queue. What attention was given to the project was always a little second rate. I’m not entirely faultless. I could have gotten out and pushed, but my dissatisfaction bred apathy. My sister, Tessa, is working on a new cover and after a revision/formatting, I’m going to re-release Lucinda as an ebook. There is work associated with this that will doubtlessly go at the end of a long queue, but at least it will be my long queue. Over at Reading Notes, I’ve posted about Michael Lewis’ Moneyball and Joe Hill’s Horns as well as a wrap up of Spring Reading Thing. Amazingly, this means I finished reading four books in June and achieved my #ToBeReMo goal! Huzzah! If I would have known about it earlier, I would have mentioned it in my previous post: Amalia T. is holding a Dream Sequence Blogfest. And, boy, do I have dream sequences! The following is an excerpt of Chapter 4 of Lucinda at the Window, which is currently on sale at Amazon. The hill slopped gently away from her feet. Lucinda Harris gazed out over the field and the view took her breath away. From the bottom of the hill to the horizon was an ocean. The thigh high grass waved in the wind, shimmering almost as water would. The sun was high in an abundance of blue unblemished by clouds. The wind was strong. It hissed through the grass to tease at her skirt and blow strands of hair in her face. Lucinda didn’t care. She laughed instead. She hadn’t been here in so many years. Why had been so long? A shadow passed over the sun. When Lucinda looked to see what kind of cloud it was, there was nothing but the sun in the sky, still unblemished. She squinted shading her eyes. Still nothing but the bright sun. Almost too bright, it bleached the very color from the grass. Lucinda shut her eyes. Returned to AZ on Sunday night. The flight was bumpy, but generally on-time and uneventful. For the first time in ages, I missed the Oscar awards. My plane didn’t land until 8pm and by the time we retrieved my luggage and dinner, it was well past 9pm. Not that I could have seen the broadcast anyway. Our HD reception is variable and doesn’t include ABC. But Eric bought me an Oscar night brownie and I followed the last few announcements via Cinematical’s live blog. For our yearly Oscar wager, I bet that the Best Director and Best Picture awards would be split (most likely going to Kathryn Bigelow and Avatar, but any split would win for me). Happily, I lost the bet and Bigelow won the director award and The Hurt Locker won Best Picture. Yesterday was catch-up clean-up day. I didn’t clear my Task list, but I made a dent. While in Omaha, my website hosting was exploited. I wasn’t sure whether that was due to something on my parent’s computer/network, or due to lack of WordPress upgrade. Dinohost cleaned my pages, but I needed to make sure the VOTS site was a-okay. It *looks* that way and I’m *guessing* old WordPress was the culprit, but I’m not savvy enough to really know what’s going on. While away, I received my copies of Lucinda at the Window. I was going to shove the copy into my file drawer with my other publications, but I realized something when I saw it together with the other four or so softbacks. I want *more*. Instead of tucked in a drawer, I wanna look up and see them on a shelf and ache for how *lonely* they look without a dozen friends. Call it a vanity shelf if you’d like; for now, for me, it’s motivation. I’d like to say that being back to work at home is invigorating, and it is, but I know it won’t last long. Comparing the similar section of Meyer’s The Seven-per-Cent Solution and Doyle’s "The Final Problem," I notice that Doyle uses dialogue (with very few tags) almost exclusively in his telling. And indeed, it is mostly *telling* and not *showing*, but it is the characters that are doing the speaking and as readers we are given more than enough details about what’s going on without getting prose heavy. I had not noticed this about Doyle in the past. Thursday was a good day. Met up with Amy and Karen. I hadn’t seen them in *ages*. It was great catching up if only for a brief lunch. We’ll definitely have to do it again next year. Came home to find, through the magic of Facebook, that Kris Stamp (the hard-working proprietor of StoneGarden.net Publishing) had updated the site with third quarter titles. Including Lucinda at the Window! I now have cover art and a release date! Ohio, 1901 – Lucinda Harris had been haunted by childhood tragedy all her life and worked diligently to keep those memories deeply buried. While visiting the ancient manor home of her best friend, she spots a dark stranger one night on the lawn. She finds herself suddenly plunged into a nightmarish world. Has insanity finally taken Lucinda’s mind or is it something far more diabolical? Something is amiss in the Manor, but none of the guests or the servants can pinpoint what it is. Lucinda is acting strangely; the groundskeeper has disappeared; a feeling of gloom hangs over everything. The answer to the mystery seems to lie in a worn journal found buried in the cellar. The entries become stranger and more terrifying as they read on, until it reveals the horrible truth about the Manor. Is there a connection between the two? None of them could have predicted the strength of the force manipulating them all…or the wrath of a woman they all thought they knew. Since Friday I’ve been working to update EntangledContinua with a new look. I should have it done by Tuesday. Also went out Friday with Chad and Michelle for dinner at Baby Blue and finally had sushi I considered tasty. It’s still far from being a food I’d crave, but I’d happily eat there again. Yesterday was Grandpa’s 82nd birthday. Alas, the goodness of the last few days and the impending cake and ice cream were marred by the usual fights that breakout when too much of my family gathers in one place. It all makes me very tired. I suppose that’s the way life balances though. I should take more pleasure from the things that are good because the bad has a tendency to eat on me.